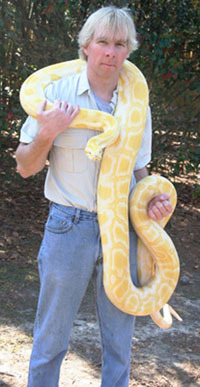 Dan's shows were created to educate people of all ages about reptiles. Through informative displays and interactions, the presentations are very successful in helping the audience better understand and appreciate the special nature of these animals and their importance to the environment. 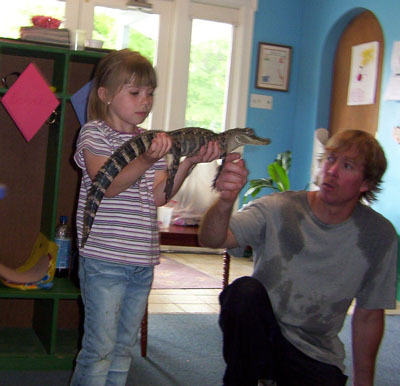 The programs offer a unique opportunity to experience many species of exotic reptiles. The audience is invited to interact with the animals on an up-close and personal level; viewing, touching, and asking questions are highly encouraged. Imagine your company picnic or grand-opening with a clown or a magician, now imagine it with a hands-on reptile program for kids and adults alike to experience a once in a lifetime chance to see alligators, rattlesnakes, spiders, giant pythons and more. Dan can also do large scale exhibits in shopping malls, community centers, sportsman shows or whatever the event, Dan the Snakeman can fill your special entertainment needs. Dan the Snakeman can tailor your show to any type of program. 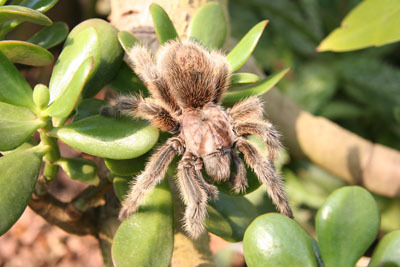 For example, the Lime Hollow Nature Center does a Creatures of the Night show every year which includes: tarantulas, snakes, and scorpions, just to name a few.